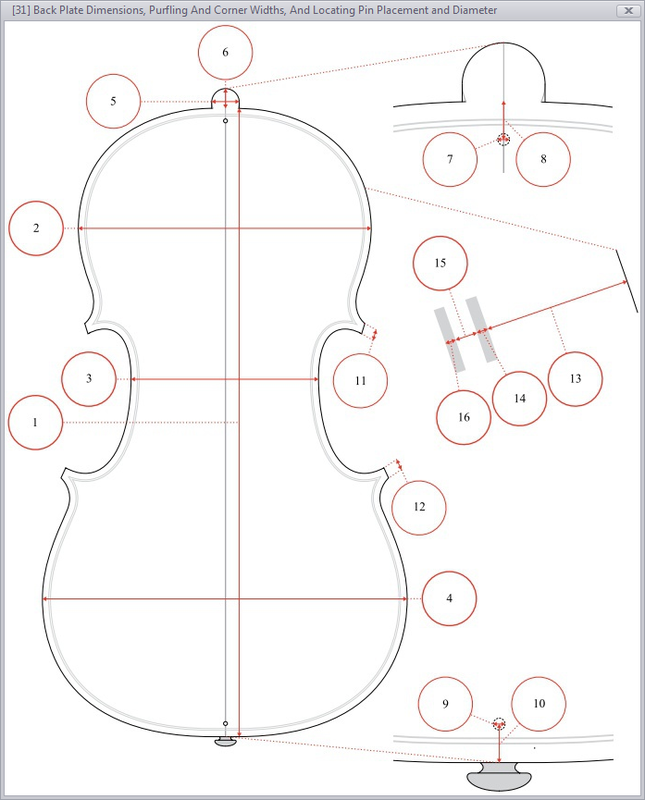 IDROnicer (Instrument Documentation Report Organizer) has been developed by me as a complementary tool for the documentation system for stringed instruments and their bows of the IPCI-Canada. 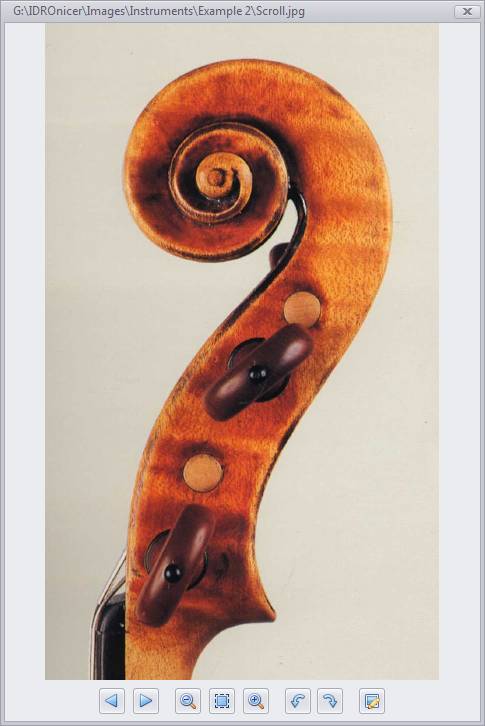 The PDF form templates for this professional documentation system can be found on the CD-ROM that is included with the three-volume work The Conservation, Restoration, and Repair of Stringed Instruments and Their Bows of the IPCI-Canada, edited by Tom Wilder. Sample of a Concise Instrument Documentation Report on ipci-canada.org. 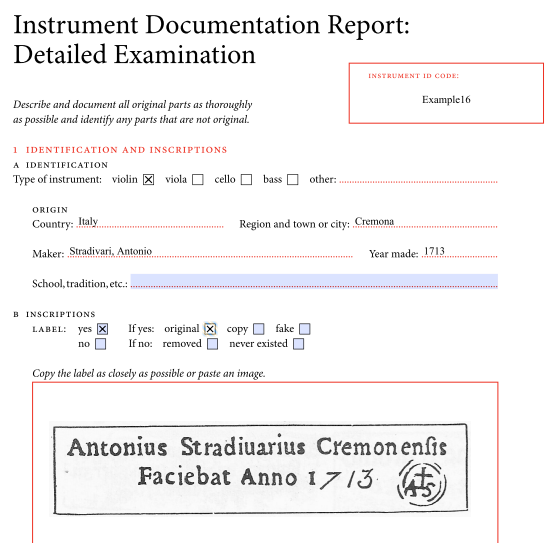 If you are working with this documentation system as a violinmaker, bowmaker, restorer, conservator or collector, then IDROnicer will support you in creating, editing, managing and evaluating your documentation, condition, and intervention report forms and diagrams. The laborious handling with the PDF-files of your documentation work will be not necessary in the future! IDROnicer assumes this task for you, and displays your precious documentation in neatly arranged data tree structures. Access to the reports takes place easily by means of mouse click and within a few seconds. IDROnicer is freeware. Get the current version from the download page. IDROnicer runs under Windows Vista and higher. You can easily run IDROnicer under Mac OS and Linux in a virtual environment (e.g. VirtualBox + Windows 7). If you store the IPCI pdf forms and your report files within a folder shared by the host and the guest system, an access to the PDF files on the host is still possible. 1. 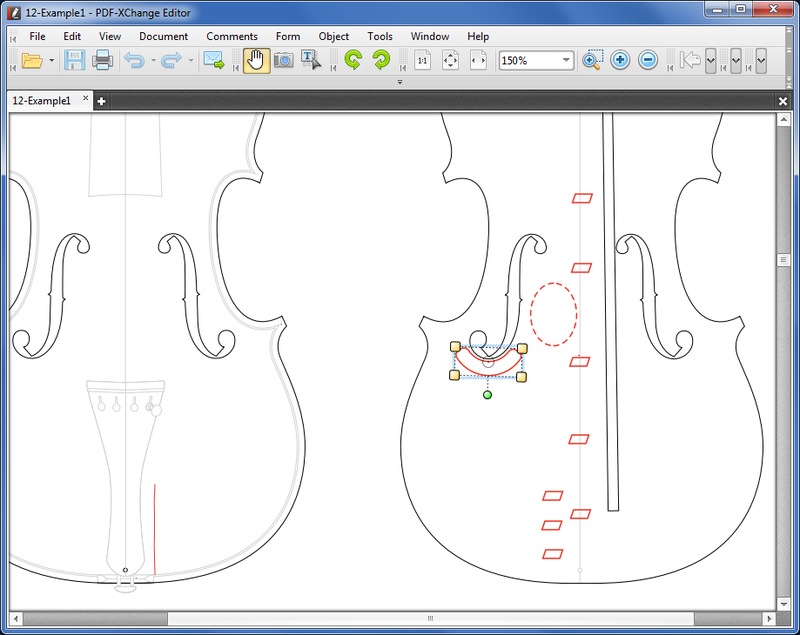 The PDF forms for the documentation system for stringed instruments and their bows of the IPCI-Canada (see above). 2. A PDF reader which supports filling form fields and stamping. The latter is of relevance if you intend to document damages and interventions graphically within the Condition Report by using the symbols of the IPCI's Symbols Palette. In addition, the PDF reader should support stamp rotating. This feature is necessary because some symbols not only have to be changed in size but have to be rotated too. Unfortunately, a use of Adobe Reader with IDROnicer is not possible! We recommend either Foxit Reader (free) of Foxit Software or PDF-XChange Editor Plus of Tracker Software . 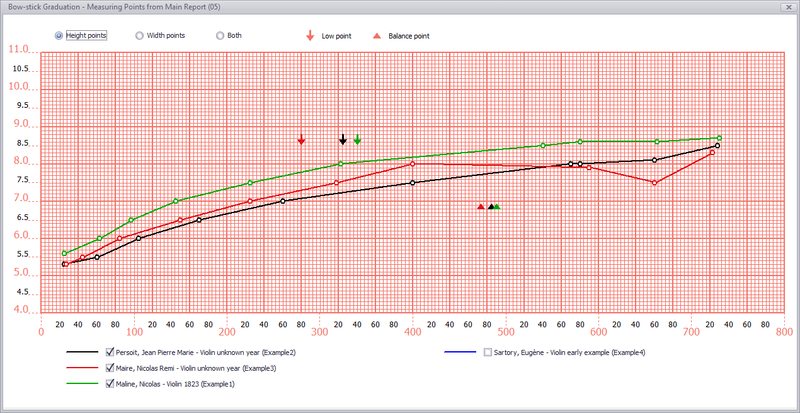 IDROnicer is an easy and intuitive to use program that has a small, but fine user interface. The program is able to manage the report pdf-files in only two folders. 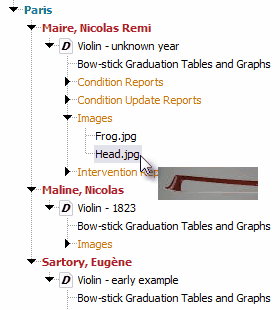 Clear presentation of documented instruments and bows in data trees, systematically grouped according to country of origin, region/location and maker. Presentation of all PDF forms and diagrams of the IPCI-Canada CD-ROM in a data tree for quick access. Documentation reports can be maintained in concert with detailed examination and with concise examination. They are marked with the corresponding icons in the data tree. 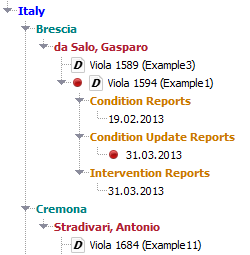 Open reports are marked with an icon in the data tree. 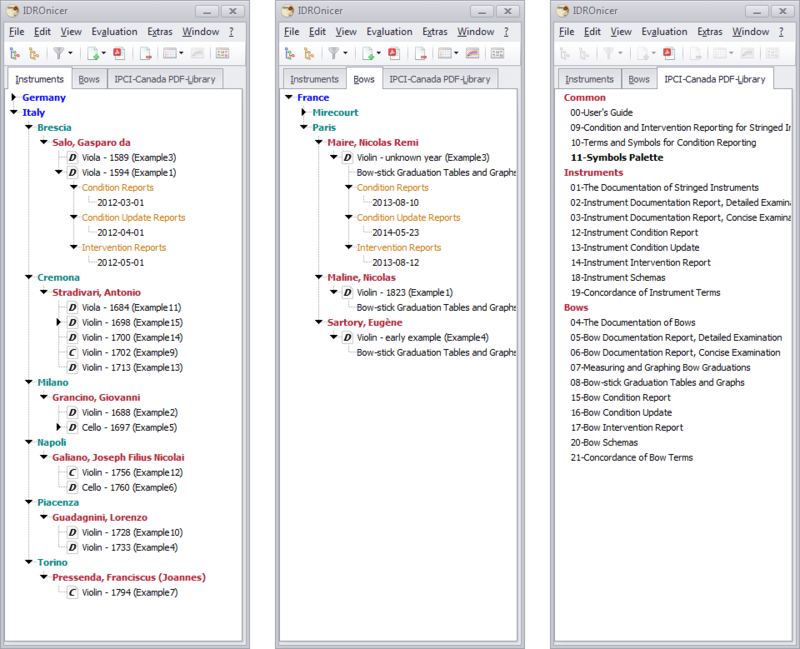 if several reports are open, a single click in the data tree is sufficient to bring the desired report into the foreground. Easy to use filter function. Creation of a new documentation in a few seconds. IDROnicer monitors the allocation of the id code in order to avoid duplicates. Facilitation of data entry by defaulting already typed data. The id data are automatically entered into the pdf form. Creating of arbitrary many sub-reports for each documented object. IDROnicer automatically takes over the id-data of the related main report. Bow-stick graduation measuring points of main reports will be automatically adopt in a newly created sub-report 08-bow-stick graduation tables and graphs. therefore, typing of the measuring points is necessary only once! Convenient access to the symbol palette for documentation of damages and repairs. This symbol palette can simply be integrated into the stamp palette of the PDF-XChange Editor after the installation of IDROnicer. 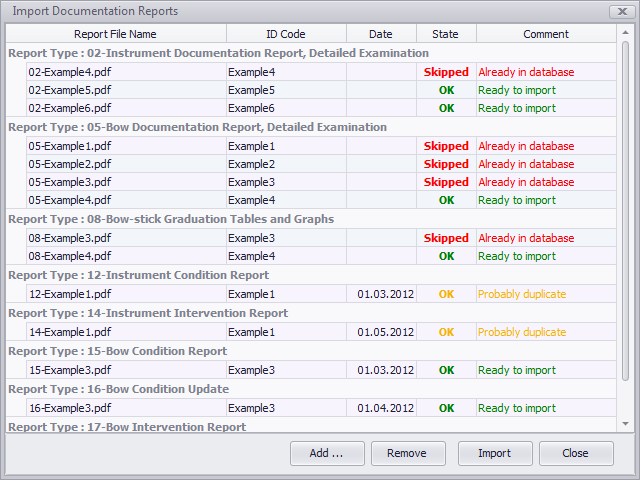 Individual symbols then can be inserted from the editor's tool bar into the corresponding report. Import function for existing reports. IDROnicer is able to import your already created documentation. The original reports remain unchanged! Already after a few moments you can continue to work with your report portfolio without additional editing efforts. Representation of measurements of arbitrary many instruments or bows in tabular form. In this way, it is possible to quickly make comparative assertions about the measurements of selected objects. Grouping and sorting options in the tables support the user in the evaluation. 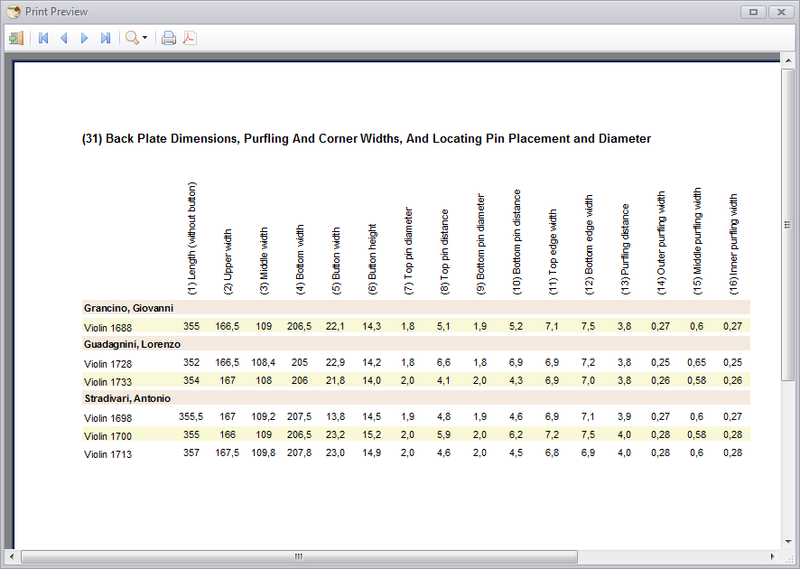 For each measurement table, the corresponding page of the report can be displayed as a graphic and orientation guide. Comparative graphical representation of bow-stick graduation graphs of up to 6 selected bows. For this purpose, you can either use the measuring points of the main reports (05-Bow Documentation Report, detailed examination), or those of the corresponding sub-reports (08-Bow-stick Graduation Tables and Graphs). also the low point and the balance point of the bows are taken into account. It can be switched between the graphs of the height points, the width points or for both measuring point series. Individual graphs can be hidden or displayed. 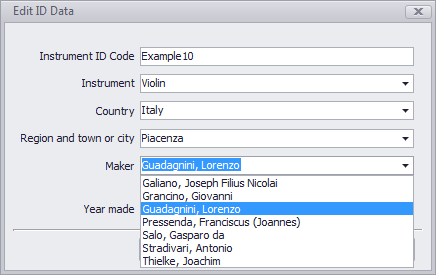 Ability to print a list of all (or filtered part of) documented instruments and bows. 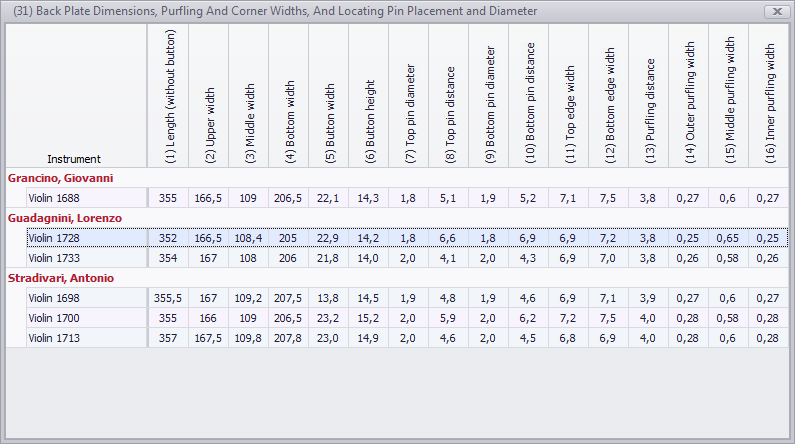 Print option for measurement tables and graph comparisons. Ability to comfortably manage and view pictures you have taken of the documented objects with a digital camera. IDROnicer supports the graphic formats JPG, PNG, BMP and TIF. There are various possibilities for program settings. An Auto-Updater will notify you when a new release of the program is available on the author's web site. The possibility of downloading with subsequent automatic installation keeps your IDROnicer installation up to date.